Aiseesoft iPad 3 Transfer can help users export iPad 3 music, movies, camera roll, pictures, and camera shot to computer, and import local videos, audios and images to iPad 3 without any loss. Aiseesoft TS Video Converter is an easy-to-navigate TS Converter Software which offers the way to convert TS video and other popular video/audio files to any video and audio format. 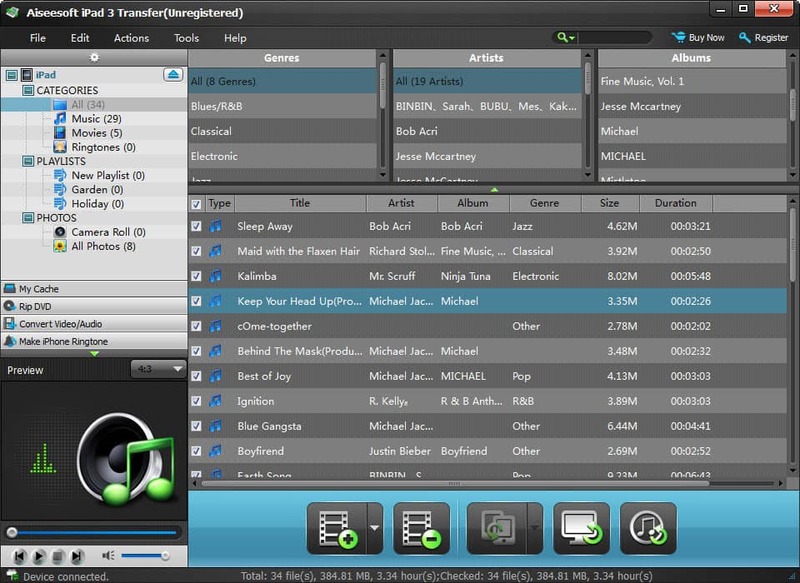 This tool is a free 3GP converter program for music player users. It is capable of converting video files of various formats to other video/audio formats with fast conversion speed & precise output quality. Free Any Video Converter Pro can convert 4K, 1080p HD, and general videos to MP4, M4V, MKV, WMV, FLV, AVI, MOV, TS with excellent quality and fast speed. Also, it can convert 2d video to 3d video format. You can transfer your files like music, movies and photos between Mac and iPad with high quality. 4Videosoft iPad Manager for Mac enables you to convert DVD movies and popular videos to iPad MP4/MOV/M4V. 4Easysoft iPod nano Video Converter is the superior video converter for iPod nano. It can convert video and audio files to iPod nano supported video and audio formats. It also can perfectly convert all mainstream video and audio formats.